Government of Andhra Pradesh has issued GO.No.323 on December 4, 2013. This Government order for filling of seven thousand one hundred and seventy three (7,173) vacant posts through Direct Recruitment. This GO details as follow. PUBLIC SERVICES – Recruitments – Filling of seven thousand one hundred and seventy three (7,173) vacant posts through Direct Recruitment – Permission to the Recruiting Agencies – Orders – Issued. 5. Proposal received from various departments. 1. In the G.O. first read above the General Administration (Services-A) Department issued orders adopting an annual calendar for recruitments and prescribed a schedule for estimation and notification of vacancies for recruitment. It was ordered that all departments should follow this schedule. In the G.Os. second to fourth read above orders were issued according permission to fill certain vacancies in different categories including the categories that are classified as Group-I, Group-II and Group-IV Services, other gazetted, non-gazetted and technical categories in various departments through direct recruitment by the relevant recruiting agencies. 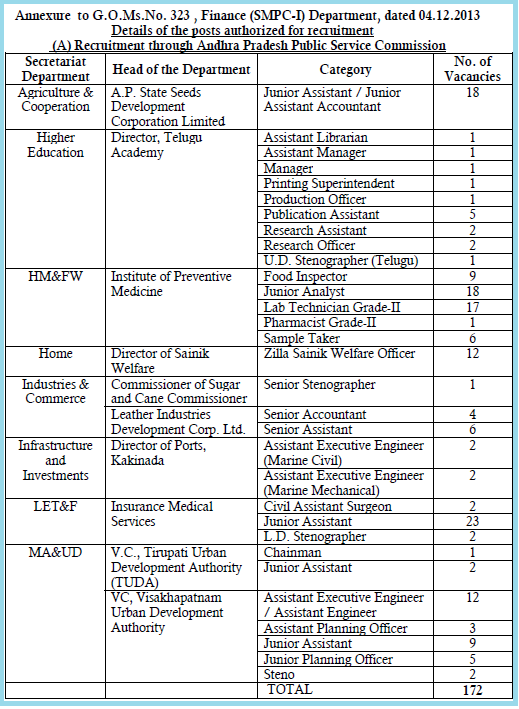 Several secretariat departments have sent further proposals for filling vacancies in various categories meant for direct recruitment in the departments and institutions under their administrative control. 2. After careful examination of the proposals of the departments and keeping in view the actual requirement with reference to the nature of work and activities of the departments and the overall financial implications, the Government hereby accord permission to fill seven thousand one hundred and seventy-three (7,173) vacancies in different categories in various departments, through direct recruitment by the relevant recruiting agencies, as shown in the Annexure to this order. 5. 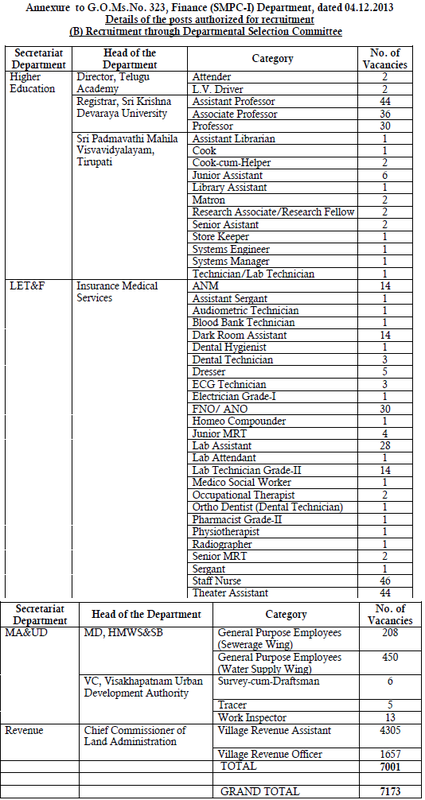 For the posts authorized to be filled by the Departmental Selection Committees, the administrative departments of secretariat and the heads of departments concerned shall take necessary action for filling the respective posts duly following the Rule of Reservation, the provisions of the Presidential Order and the provisions of the Service Rules applicable to the relevant posts. They shall adopt a transparent selection procedure based on written test for the purpose. The departments shall obtain orders on the composition of the selection committee, selection process and other issues related to the recruitment process duly following the rules of business by routing the file through the Finance Department before undertaking the recruitment by the departmental selection committees.